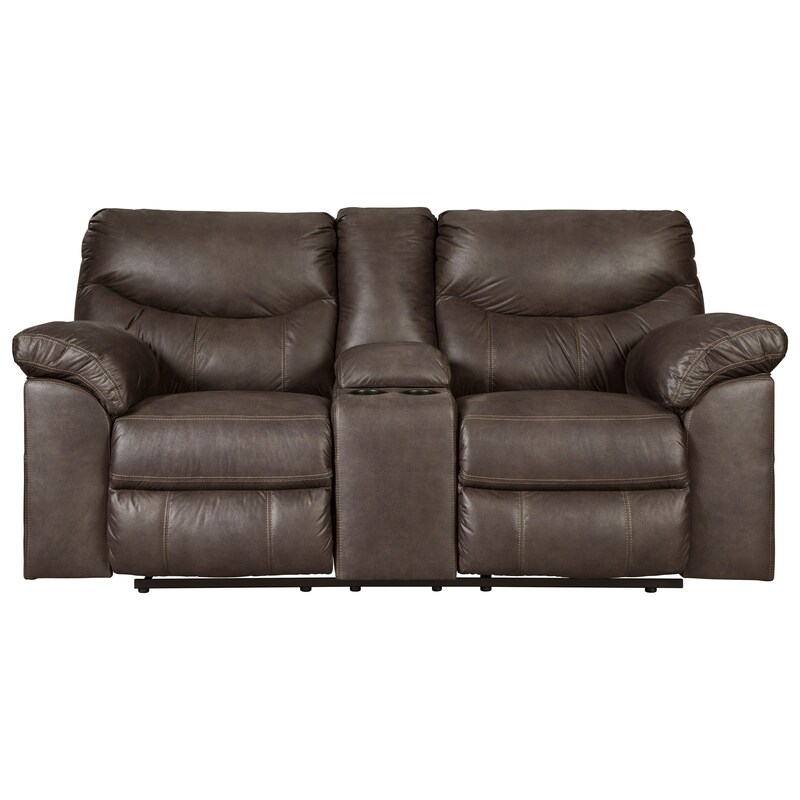 With its double stuffed pillow arms and plush cushions, this casual reclining loveseat is generously soft. The power reclining mechanism and included cup holders offer additional levels of comfort and functionality, while the scooped stitching and channel tufted back give this piece a subtle contemporary flair to make it look great in any living room space. The Boxberg Casual Double Reclining Power Loveseat with Center Console by Signature Design by Ashley at Michael's Furniture Warehouse in the San Fernando & Los Angeles area. Product availability may vary. Contact us for the most current availability on this product. Boasting the attractive look of leather without the price, this collection of reclining living room items is bursting with appealing style and comfort elements. Enjoy the softness of double stuffed pillow arms and extra plush cushions with the inclusion of these casual yet contemporary pieces in your home. The Boxberg collection is a great option if you are looking for Casual furniture in the San Fernando & Los Angeles area. Browse other items in the Boxberg collection from Michael's Furniture Warehouse in the San Fernando & Los Angeles area.